Get up, get out and do something you love! 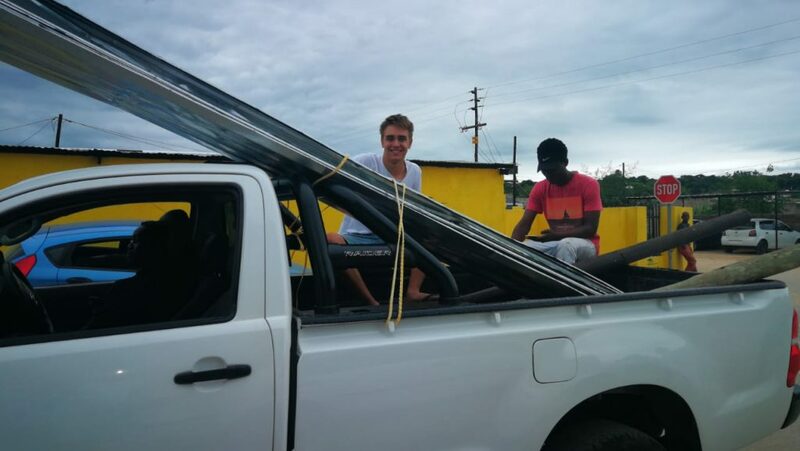 For six months German volunteer Dominik Schulte swopped life in Hamburg for Mataffin in Mpumalanga, where he has been volunteering at the Regional office as part of an international volunteer exchange programme with the German Scout organisation DPSG. Before he returns home, we had a quick chat with him. SSA: Can you please tell us a bit more about yourself? Dominik: I grew up as the eldest of 4 children in a small suburb of beautiful Hamburg in Germany. I recently turned 20 years old. I love socialising with my friends and meeting new people. I enjoy watching sports and even work out from time to time myself. I am very curious and love trying out new things and exploring the unknown. Dominik: I originally joined Scouting at the age of 6 because my best friend and his family were really involved in establishing a Scout Group in my village. My parents then convinced me to go to a Troop meeting and I have never regretted it ever since. I have been through all the stages of a Scout! SSA: What is it about Scouting that makes it stand out from other youth activities? Dominik: Scouting for me is special in many different ways. I’ve made friends for a lifetime through the Scouts and enjoy every trip and meeting that we have. It’s something special because I have known these people for so long and have been through mostly everything with them. But what really makes Scouting different from other youth organisations is that Scouting will get you outside, help you get a better understanding of nature and build your character like no other organisation can. Especially in our days, where most of the kids stay inside and play video-games or watch TV, Scouting gives those kids an opportunity to go outside and appreciate the world we live in. SSA: What are some of your favourite Scouting memories? Dominik: In 2015 my Troop and I went to France for an international Jamboree. We had an amazing time and were very excited for the camp. But on the first or second night a big hurricane hit the campsite and destroyed every tent that was set up. We were evacuated to a nearby stadium and slept the night there. Luckily, we were allowed to go back to the campsite and re-pitch all the tents and hang our soaking wet clothes up to dry. But with everyone helping and doing their part, we rebuilt everything and had one of the best camps ever! 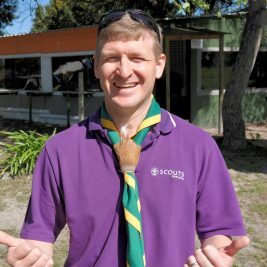 SSA: Why did you decide to volunteer for SCOUTS South Africa? Dominik: I mostly wanted to break free from my normal and daily routine. When you go to school for so long, most graduates want to go and explore. That’s exactly what I wanted and Scouting gave me the perfect opportunity. I realised I wanted to do something that I love doing in my free time and for me that was Scouting. I had different opportunities but South Africa was a country of interest for me, since some of my friends had already been to SA and were amazed by this country. SSA: Did you have a choice where in SA you wanted to volunteer and live? 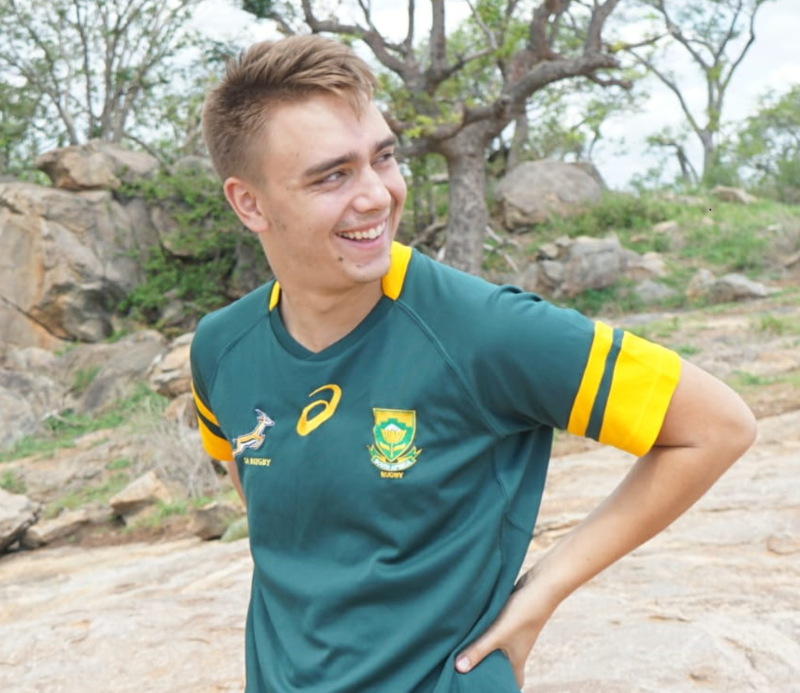 Dominik: When I first signed up, I had the opportunity to choose between volunteering in Cape Town or in Nelspruit. I was tempted to work in the Cape due to its amazing landscape, but then decided against it as I was told that it’s pretty “European”. Personally, I wanted a change from everything. So, when I was told that I would live in a suburb called Mataffin, I was really excited to experience SA in a different way than most people would. SSA: What have been some of the major differences you have experienced in your “home life”? Dominik: Where do I begin? Everything is different starting from the food to how the family life works. It’s a drastic change but a change that I really wanted, and got used to quite quickly. It’s all about adopting and finding your own spot in the family. You just have to be open to something new and then you’ll have a lot of fun, make new friends and get great experiences! I have had a lot of fun due to the people I surrounded myself with. People around here are always laughing and joking. SSA: You’ve mentioned that you love sports of all kind. Did you get to do some exciting sporting activities while you were here? 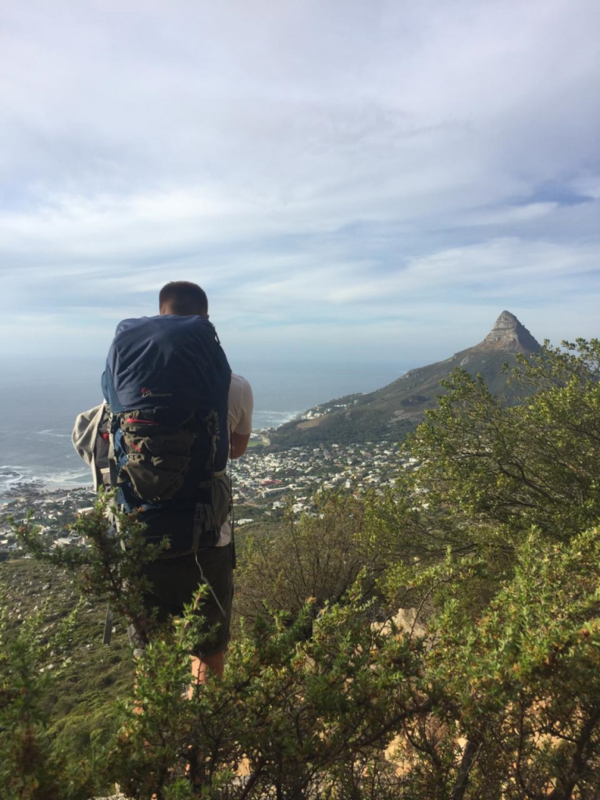 Dominik: Very recently I went paragliding in Cape Town. I’ve always wanted to do that and it was amazing! I also did a lot of hiking which I enjoyed. Since I’ve been in SA I also learnt about rugby, a sport that you only very rarely hear about in Germany. At first I thought it looked quite strange, but once I understood how it works and I fell in love with watching it, just like with football (soccer). Things that are still on my bucket list are more extreme like shark-cage diving as well as bungee-jumping etc. SSA: In addition to volunteering at the Mpumalanga Office, did you get to explore SA a bit? Dominik: Yes I did. 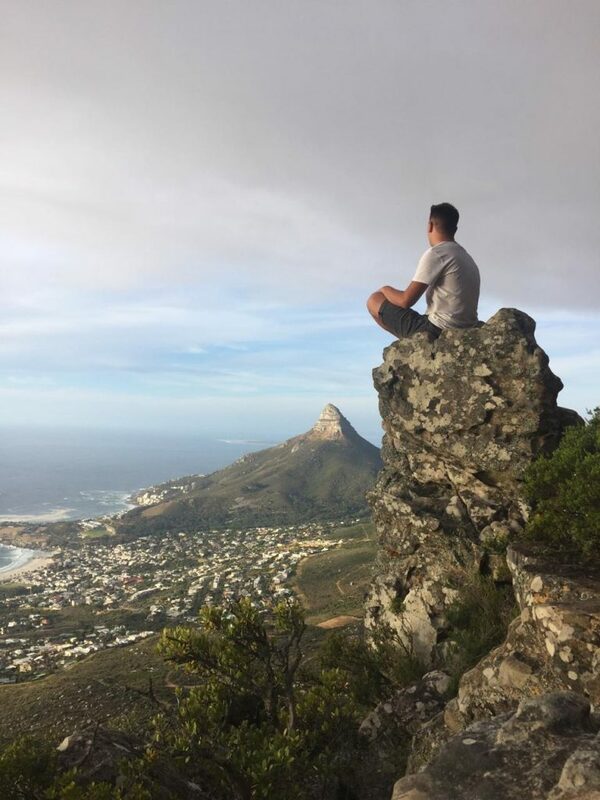 I visited various places ranging from the Kruger National Park to Table Mountain and other beautiful places in Mpumalanga, Johannesburg and Cape Town. I love exploring and really wanted to see as much as I possibly could, within with my leave-days at work. Dominik: Like I said, I love to explore and try out new things. I’m down for everything that sounds like an adventure and a new experience for me. Time isn’t endless so get up, get out and do something you love!